We are delighted that over 80% of products within our portfolio are manufactured in the UK using the latest manufacturing technology, ensuring the highest level of quality. This is reflected in the guarantees we offer. 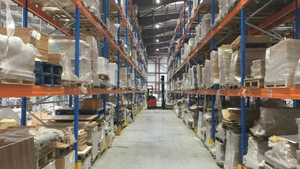 As a manufacturer who manages our own production plant in the UK, this means that Dams can adapt production levels to reflect sales trends, ensuring that all standard items are consistently available from stock. 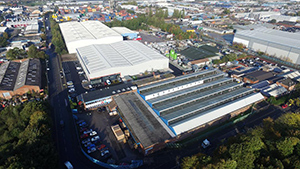 That’s why every year we continually invest significantly in expanding our production plant with new equipment and additional trained personnel to manufacture the extended portfolio and keep pace with demand. The more processes we can bring in house, the more we can control our overheads as well as our quality. In the last year, Dams manufacturing operations made a record number of furniture products. The wood factory produced over 1.8 million wooden panels with the upholstery department processing over 66,000 upholstered seating and screen products. We only use FSC-certified wood and high quality fabrics, manufacturing our products in-house in the UK, with total traceability for every order. All products are designed to comply with the latest European and British quality standards. 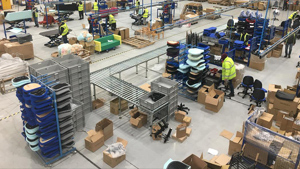 Products are also tested by FIRA which is a truly comprehensive service for the furniture industry and provides solid reassurance to customers that our products have attained an excellence that has been independently verified. Selecting a product that has been manufactured in the UK is about much more than warm, fuzzy feelings of patriotism. It’s about confidence of quality, speed of delivery, continuity of supply and accountability from a manufacturer that is managing the various elements of the supply process on the ground. Companies that source products from the Far East or Eastern Europe have found that it’s harder to control product quality and lead times when they are manufactured remotely, even with a trusted supply base overseas. Years and decades of tradition and know-how go into the production of office furniture at Dams. Manufacturing in the UK also means that we are protecting and developing the skills needed for the office furniture industry of the future, ensuring that we create a legacy of quality British-made products that are fully traceable and built to last.